And they take just 3 weeks to build. As cities continue to fill with people, eventually there will be nowhere left to spread but up. 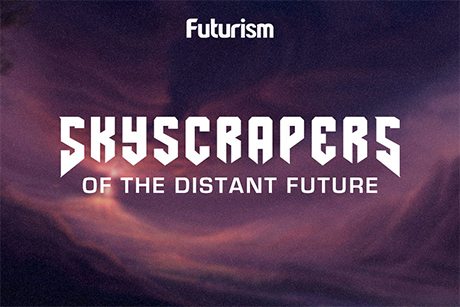 And since sky-high rent in cramped, decaying apartments isn’t exactly the ideal living situation of the future, Jeff Wilson, a Harvard researcher, imagined a better reality. While dean of Huston-Tillotson University in Texas, Wilson spent a full year living in a dumpster. 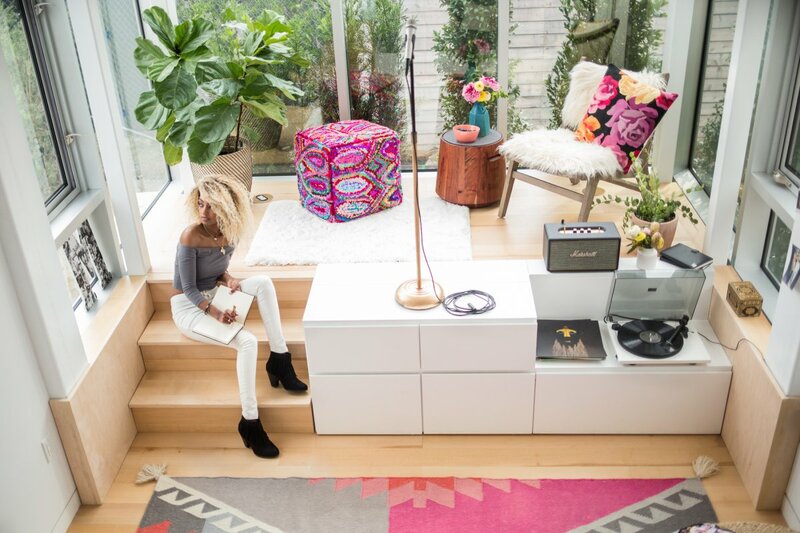 He was inspired by this experience and came to embrace the idea of “tiny living,” a minimalist lifestyle that creates an alternative, streamlined way of life without clutter. 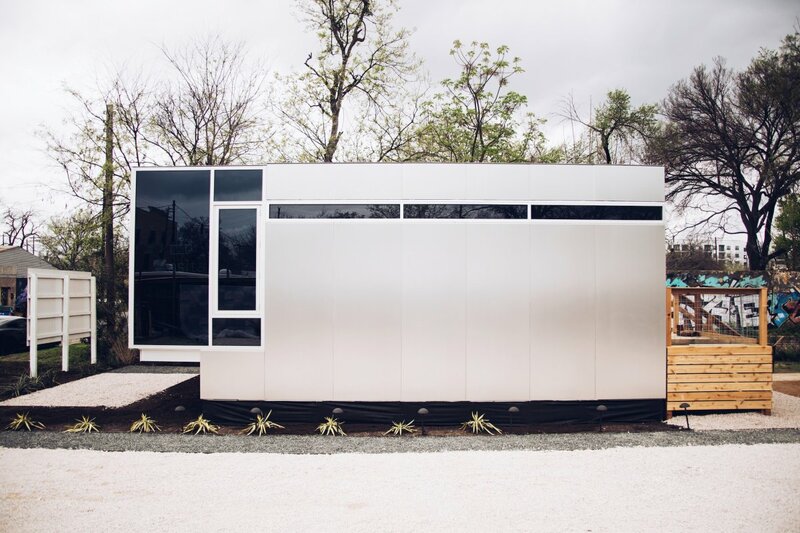 In 2015, this concept took shape as Kasita, a housing startup designed to deliver pre-fabricated, affordable, minimalistic housing units boasting 352 square feet of space for a cost of $139,000. Each unit can be used individually or stacked and combined to house multiple families. Kasita homes take only weeks to construct and can be installed in as little as one day. Theoretically, they could be bought and moved from location to location with little difficulty. Kasita hopes to deliver the first of its homes by June 2017, and it currently has a waitlist for preorders. Kasita’s tiny homes merge the concept of home ownership with the realities of a growing population. 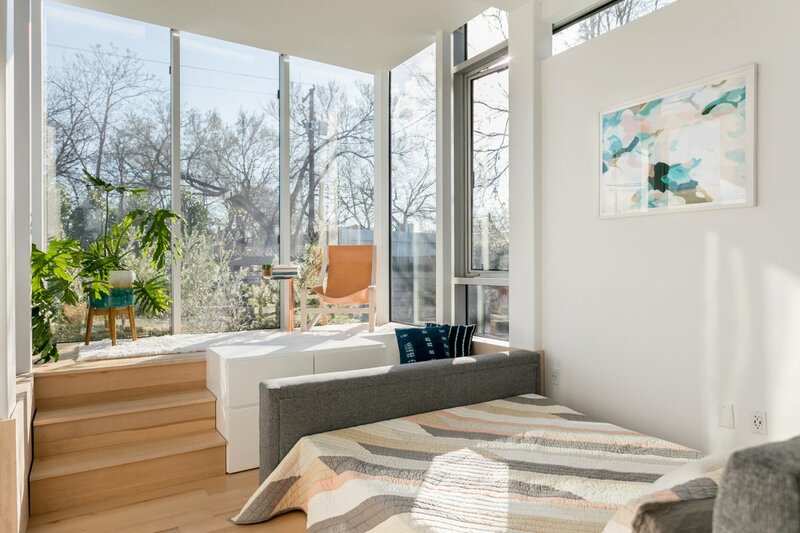 If potential homeowners are comfortable with the minimalist lifestyle, they could enjoy a drastic decrease in the cost of ownership and also the simplicity that seems to go hand in hand with tiny homes. 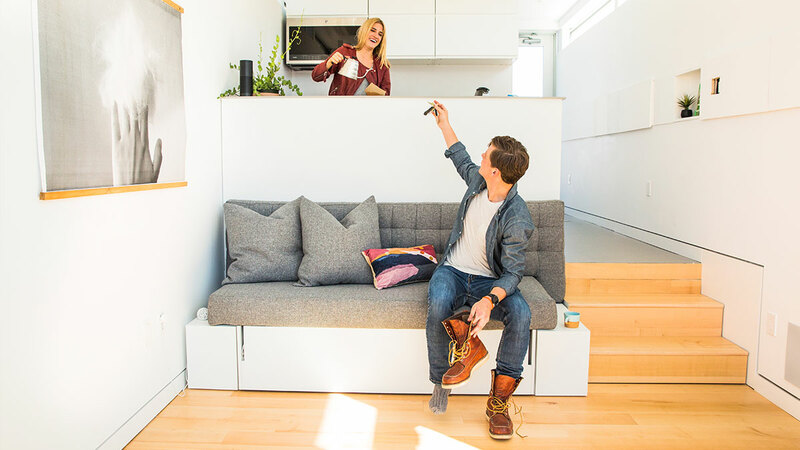 Given the pricy rents and high home ownership costs in increasingly crowded cities, small, stackable living could be the next big thing. When the first Kasita homes are installed this summer, we’ll find out how people really feel about these minimalistic homes, but Jeff Wilson definitely knows a thing or two about living simply and efficiently. If his idea catches on, long gone could be the days of having a mortgage that takes a lifetime to pay off. Take a look at these futuristic, stackable homes for yourself. This image offers a peek inside the living/kitchen space of a Kasita housing unit, which do not come furnished. This photo provides an overhead look at the living/dining/kitchen space in one of the units. White walls and plenty of windows help prevent the units from feeling cramped. The windows even adjust their transparency based on the light outside.